Earth Day is on it's way and that means for this month's Year of Yay! bike ride we have an obvious theme: The Environment! Join us on April 20, 2013, at 9:00 AM at the open at Goodale Park near the playground. Rides are generally around 15 miles with 2 - 3 stops along the way. Oh, and don't forget that you will also receive a small button pin of the above picture. The YEAR OF YAY! is a series of 12 tours on the streets of Columbus to get people out riding bikes and helping to support our community and small local businesses. You'll be amazed at what you'll discover! HELMETS are *strongly* encouraged on all YB! rides. LOCKS are also useful at our stops. All YoY rides are FREE for Yay Bikes! members and $5 for everyone else. 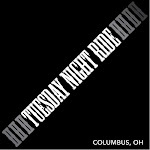 Membership is only $25 and helps support bicycling advocacy in Columbus. Become a YB! member at http://yaybikes.com/membership/.